Iranian President Hassan Rouhani accused his US counterpart Donald Trump of trying to topple his government, as he poured cold water on the idea of resuming talks with Washington after its pullout from an international nuclear accord. 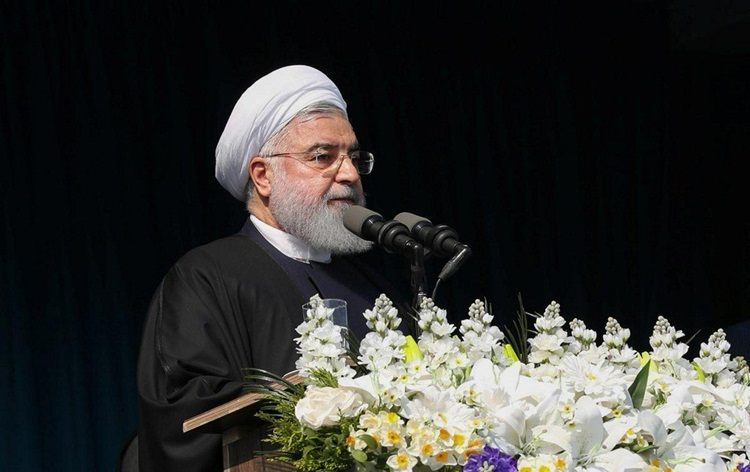 In a speech at the United Nations General Assembly Rouhani said it is ironic that the US government does not even conceal its plan for overthrowing the same government it invites to talks. Rouhani took the podium a few hours after Trump called for Iran's isolation in his UN address, accused the leadership of Iran of sowing "chaos, death and destruction" as he defended his decision to ditch the Iran nuclear accord. The five remaining parties to the 2015 accord France, Britain, Germany, China and Russia agreed during a meeting in New York to set up a payment system to preserve business ties with Iran despite US sanctions. Meawhile the Iranian leader said he was pleased that the international community did not follow the Trump administration's "unilateral and illegal withdrawal from the JCPOA," the Joint Comprehensive Plan of Action as the nuclear deal is known.